Leading Bahraini human rights and pro-democracy activist Nabeel Rajab is once again on the receiving end of the repression which is one of the enduring specialisms of the gulf dictatorship. The latest of Nabeel’s arrests took place at the beginning of October, shortly after his return from an international advocacy tour. He is due to hear the verdict in his trial on Saturday 2 November on a charge of “insulting a public institution”, potentially leading to a jail sentence of up to six years. Superficially, Nabeel’s long term struggle against the Khalifa family firm dictatorship and his identification of alleged state sponsors of the ISIS horror show might be expected to win him plaudits from the western countries presently intervening against the proclaimed caliphate. But this is Bahrain, notorious geo-political and business ally of key imperial states including Britain and the USA. The regime, accordingly, is on the protected assets list, so repeatedly its attacks on trade unionists and rights activists provoke no more than reluctant and inconsequential expressions of ephemeral regret. It is imperative that trade unions internationally support and extend these demands. Labour movement organisations have a profound interest in human rights issues within the various gulf tyrannies, which invariably are also hostile to independent worker association. The smashing of the Bahraini Teachers Association and hounding of its leadership by the Bahraini state in the aftermath of the emergence of a mass movement for reform in Spring 2011 is a case in point. 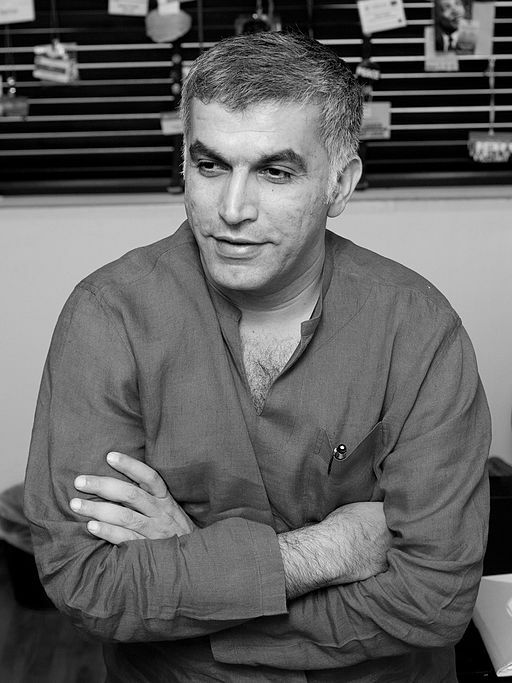 Raise opposition to the arrest of Nabeel Rajab in your union branch. Using chair’s action if necessary, demand that the charges be dropped before verdict is delivered on 29th October. More broadly, call for a union-led international investigation of Bahraini state repression and abuse of rights, including those of trade unionists. To be meaningful this must include identification of regime supports and facilitators internationally. Support independent unions and democratisation movements in Bahrain. Model motion available here. Members of UCU and other education unions, oppose state repression of the Bahrain Teachers Association. To read UCU material relating to BTA support, enter “Bahrain” in the search engine at UCU national website.